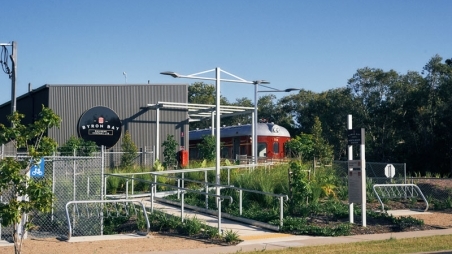 The Byron World First Solar Train is open to all, warmly welcoming the local community and travellers to ride. A return service is provided 364 days a year, excluding Christmas Day, on the immaculately restored 1949 era two carriage heritage train. All thanks to a 4.6 billion year old power source. The three kilometre coastal track links the Byron Town Centre with the burgeoning North Beach precinct and Byron Arts Estate. The journey takes ten minutes one way or 25 return from North Beach Station. 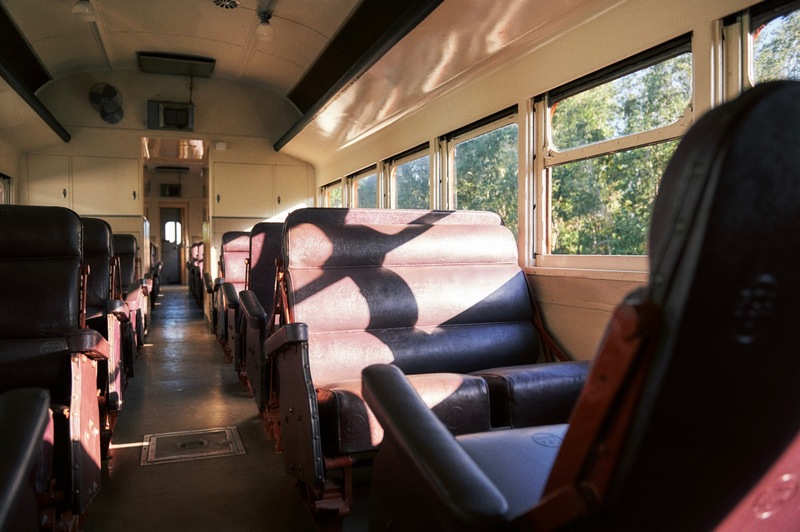 Relax on vintage lounge seats in the first class carriage or chat to fellow passengers in coach class as you pass through littoral rainforest, endangered coastal wetlands and over the stunning tea tree Belongil Creek, part of Cape Byron Marine Park. The train has capacity for 96 seated passengers, additional standing passengers and luggage room for bikes, prams and surfboards, carried free of charge. This is net carbon positive travel, Byron style. Home to the Byron Solar Train, North Beach Station is on Bayshore Drive. There is plenty of free parking, a disabled access toilet, shelter, seating and bicycle racks. Within easy walking distance is The Sun Bistro, Elements of Byron Resort, Habitat, Sunrise Beach and a range of shopping experiences from the quirky to transcendent. For those venturing further into the Arts Estate, including Stone & Wood Brewery (13 minutes walk), you may wish to consider hiring a solar electric bicycle from Sunshine Cycles. Book online at www.sunshinecycles.com.au or call Luke on 0406 755547. The Byron Beach Platform is at the Shirley Street level crossing in Byron Bay township between the First Sun Caravan Park and Simmos Caltex Service Station. Here there is seating, shelter, bicycle racks and plenty of paid parking. From here you can walk anywhere in the town centre, Main Beach, Belongil Beach and further beaches for the more adventurous. Byron Bay township is one of Australia’s best loved dining and shopping destinations. Home to cafes, pubs and fine-dining fare, most self respecting foodies make a pilgrimage here at least once. This is a lively town that calls you to engage, experience and celebrate. Pets are not permitted to travel on the Byron Bay Train. Guide dogs are exempt. The Byron Bay Train staff are able to assist passengers with special needs and ramps are available at both stations, as well as an accessible toilet at the North Beach Station. 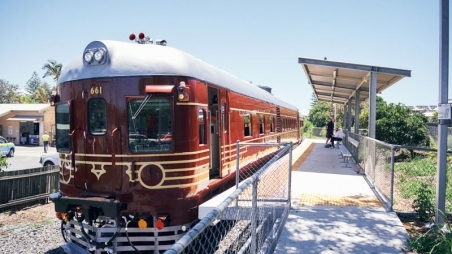 The Byron Bay Train operates a two-car heritage 660 series rail motor. The threshold width on the passenger doorways is 660mm. This is wide enough to fit most non-motorised wheelchairs, however some motorised wheelchairs will not fit through these doors. The narrow width between the train seats are a further restriction however passengers in wheelchairs are able to ride in the entrance vestibule. We are a Companion Card Affiliate.